Vietnam is well known for its great food. Wherever in the country you go, you are guaranteed to find great dishes. From national dishes, like pho, to local specialties, there is a lot to discover. 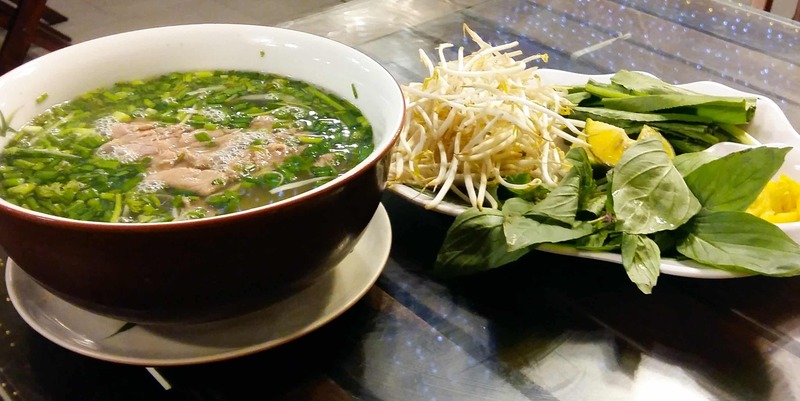 Pho is, without doubt, one of the most popular dishes in Vietnam. Locals eat it for breakfast, lunch and dinner and you can find it everywhere, from small street carts to fancy restaurants. It is a noodle soup consisting of white rice noodles, meat and a broth. You will then be given a choice of vegetables and fresh herbs to add to your soup. Ingredients vary from region to region, so it’ll be different wherever you go. Vietnam makes some of the best spring rolls I have ever eaten in my life. 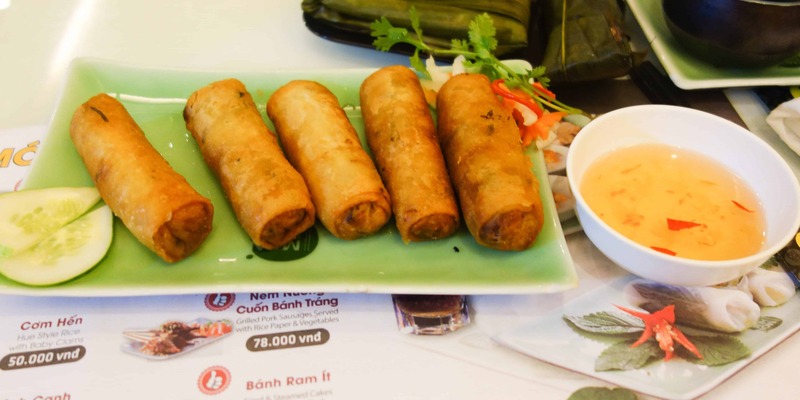 You will find an amazing variety, from fried spring rolls to fresh summer rolls (my favourites). They might be wrapped in rice paper or in salad and fillings vary from one place to another, but they always come with a great dipping sauce. Banh Khoai, also known as Hue pancake, is a specialty from Central Vietnam. It is a rice flour crepe that is filled with vegetables, meat and shrimps. The name literally translates to “Happy Pancake”. Even though Banh Khoai originates from Central Vietnam, you can find it in restaurants all over the country. 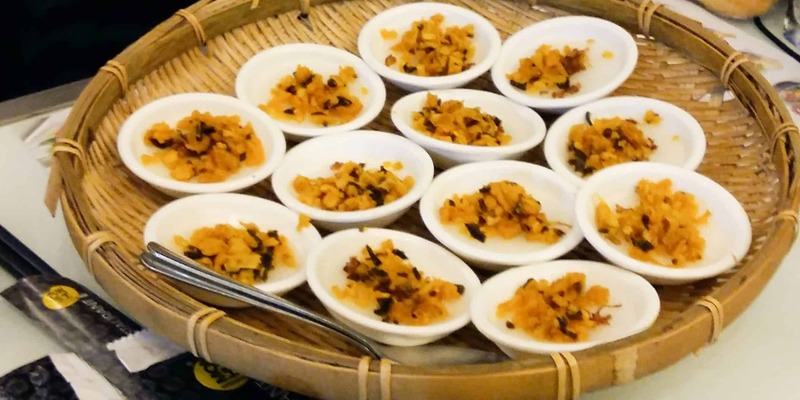 Cao Lau is a local specialty from Hoi An. You will have trouble finding it elsewhere so make sure to try it while you’re here. 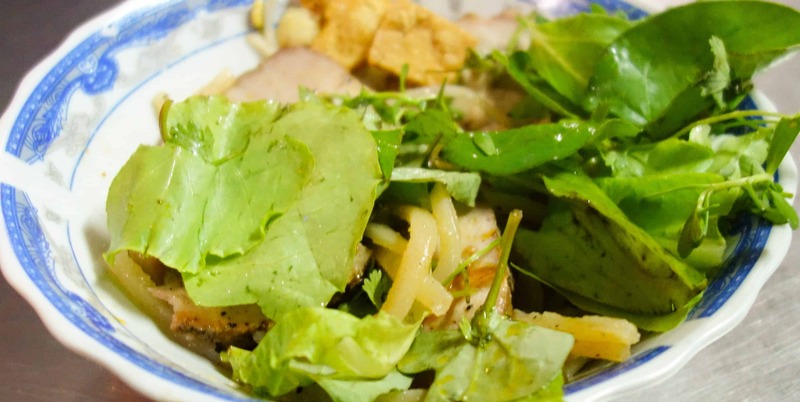 The dish consists of typical noodles, pork and greens. It is similar to pho, but unlike most Vietnamnese noodle dishes, it does not contain any soup. Depending on which restaurant you eat at, you might also find different toppings, like peanuts or fried pork rind. Nem Lui is another dish from Central Vietnam that I absolutely loved. It is ground pork on a lemongrass skewer that comes with vegetables, fresh herbs and rice paper. 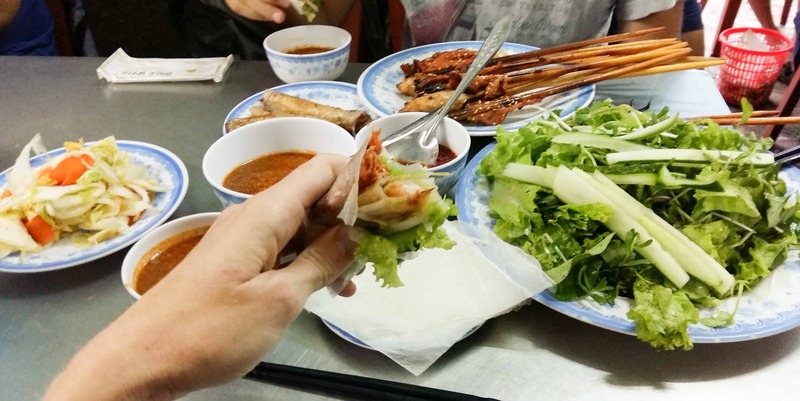 You take the meat off the skewer, add it to the rice paper together with the vegetables and herbs and roll it. While the dish originates from Hue, I have seen variations of these DIY springrolls all over the country. Banh Beo literally means water fern cake. Those little rice cakes are served in tiny bowls and topped with savoury ingredients, like dried shrimp, scallions, fried onions, fish sauce and vinegar. Once again, you can find a lot of variations of this dish. Banh Mi is Vietnamnese and literally means bread. But when you order Banh Mi, you will get a baguette sandwich, filled with meat and vegetables. As you can put pretty much everything into a sandwich, you can find many variations of this dish all over the country. Even though Vietnam is not known for its desserts, I had to include at least one on this list. Mango cakes are delicious small cakes sold by street food vendors. Do not be confused by the name. They are called mango cake because their shape resembles the fruit, not because they taste like mango. 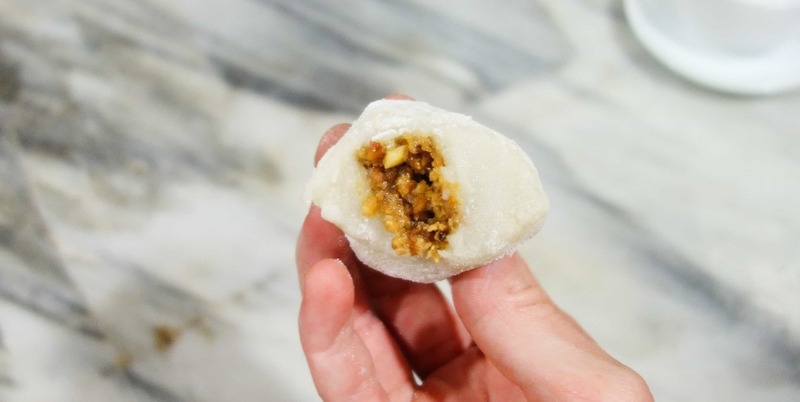 They are sweet and soft on the outside and filled with crunchy peanuts on the inside. Simply delicious! So these were my favourites in Vietnam. What about you? Which food did you love most?